Torquay's Club Champions played in the GBR State Champion of Champion finals at Eastern Park on Sunday 21st February, 2016 in front of a good crowd. Alan Sampson had won his way into the semi-final, however after getting an early lead, was pegged back by Nathan Bush who won the game. Nathan was later defeated in the Grand Final by Matt Flapper. Karen Harrington had already earned a spot in the Grand Final match, and after an even start, got ahead of Drysdale's Belinda Jeffs, going on to win the title. 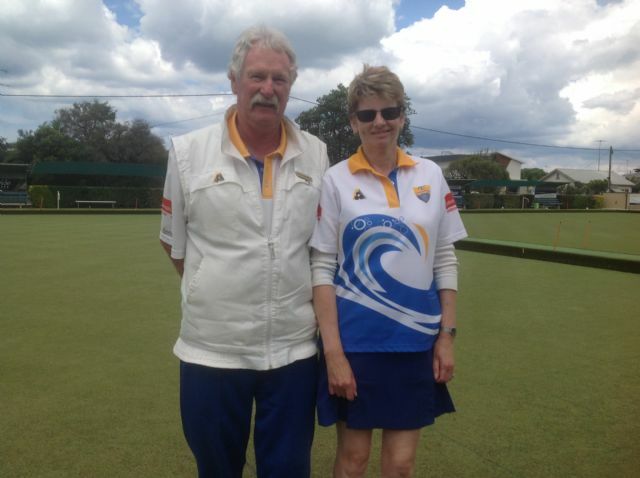 Karen will play in the Bowls Vic State Championship Champion of Champions held at Bendigo in April. The winners of Torquay Bowls Club's Singles Championships, Alan Sampson and Karen Harrington will play off in their respective GBR Champion of Champion competition. Karen has already played at Eastern Park Thursday 4th & 11th February. Having won through all rounds she is due to play the Grand Final on Sunday 21st Feb at 1.00pm. This will be played alongside the Men's Champion of Champions Grand Final. Alan started his rounds on Sunday Feb 14th & Thurs 18th, also at Eastern Park. He has won both rounds, putting him in the semi final Sunday 21st Feb at 10.00am. We wish them both good luck & good bowling!